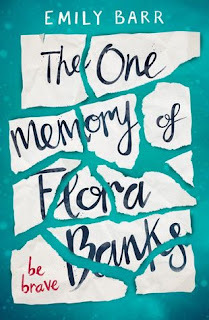 It's been a while since I've read a bit of contemporary YA fiction, so I was really happy when I started reading The One Memory of Flora Banks. It seemed like the kind of book that I would certainly want to read and being intrigued by the premise behind it, I couldn't wait to get into it and learn more about this character and their back story. Seventeen year old Flora has no short term memory and suffers from anterograde amnesia meaning her mind resets itself several times a day so she can't make new memories. She has been suffering with this since the age of ten. Flora relies on writing in her notebook and on her hands to help her remember things. Her parents and friends also help her. One night, at a party, she kisses Drake, her best friend Paige's boyfriend the night before he leaves town. To her shock and delight this memory sticks in Flora's mind and is convinced that Drake is the one responsible for restoring her memory. When an email from Drake arrives encouraging her to go visit him in Norway, Flora knows that this is something she must do. With the words 'be brave' inked onto her skin she sets off on the journey of a lifetime. Firstly, Flora is the most unreliable narrator that I have ever read. As the story is written through her point of view you experience the story the way she does. As she needs to remember things over and over it did get a little repetitive over time, making you read the same details a few times over. You could see this as quite monotonous, but it did help me understand anterograde amnesia and how Flora suffers with this on a day to day basis. However, this did mean that the pacing of the story slowed slightly towards the middle but it wasn't enough to disengage me. A lot of research must have been done by the author prior to writing this novel and for that I salute them. I enjoyed learning about the condition as well as being immersed in this unique story world. I feel that this story as well as entertaining, can also be quite educational for people who don't know or have even thought about amnesia or any memory problem for that matter. It is truly exceptional. As a character, I absolutely loved Flora! At first I was a bit worried that I wouldn't be able to connect with her due to the repetiveness and her childlike behaviour. Boy was I wrong!? I grew to love her a bit with each page I read. She's unique, brave and a character that I won't forget in a hurry. I loved how determined she was to go on her how adventure and her courage through it all. She did things she would never have dreamt of doing and I admire her for that. She is a true heroine. The setting is also something that is magical about this book. I have never read anything set in the arctic before, so it was truly something special. The description of the town of Svalbard just made me really want to go there and that's something I never thought I'd say as I usually hate cold places. I also feel that the setting also added to the somewhat mysterious feel of the book. Overall I really enjoyed The One Memory of Flora Banks. It was a really engaging, somewhat emotional read. If you want a read that will take you on one hell of an adventure this is it. Flora is a character that would stand out to anyone and I certainly will be taking some of her advice - be brave and live in the moment. 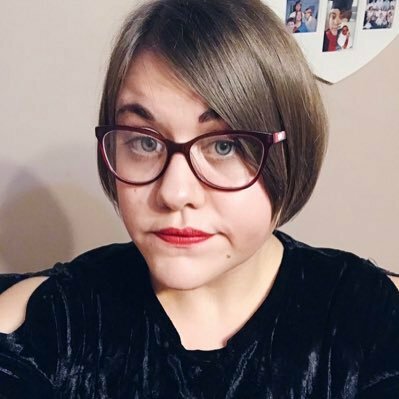 Emily Barr worked as a journalist in London, but always hankered after a quiet room and a book to write. She went travelling for a year, writing a column in the Guardian about it as she went, and it was there that she had an idea for a novel set in the world of backpackers in Asia. This became Backpack, which won the WH Smith New Talent Award. 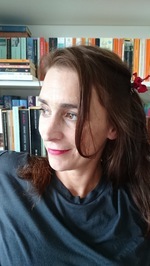 She has since written eleven more adult novels published in the UK and around the world, and a novella, Blackout, for the Quick Reads series. Her twelfth novel, The Sleeper, is a psychological thriller set on the London to Cornwall sleeper train. In 2013 she went to Svalbard with the idea of setting a thriller in the Arctic. The book that came out of it was The One Memory of Flora Banks, a thriller for young adults, which attracted universal interest from publishers before being bought pre-emptively by Penguin earlier this year. It will be published globally in January 2017. She lives in Cornwall with her partner and their children.